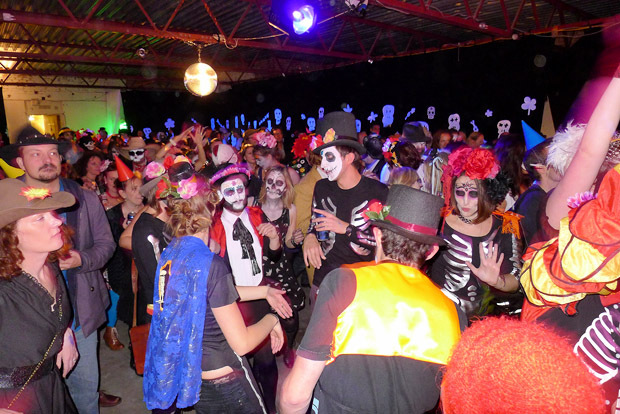 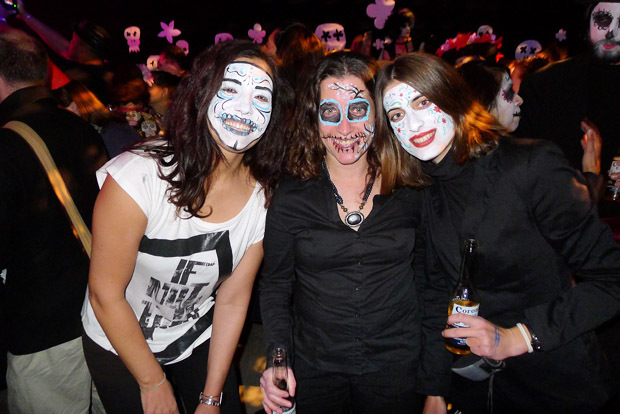 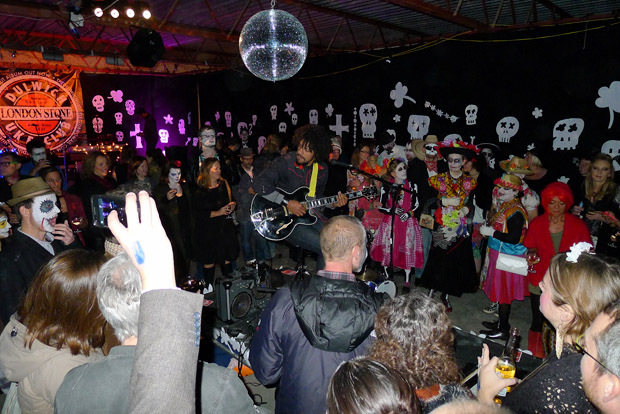 Sat 27th Oct 2012: DAY OF THE DEAD IN DEEPEST PECKHAM! 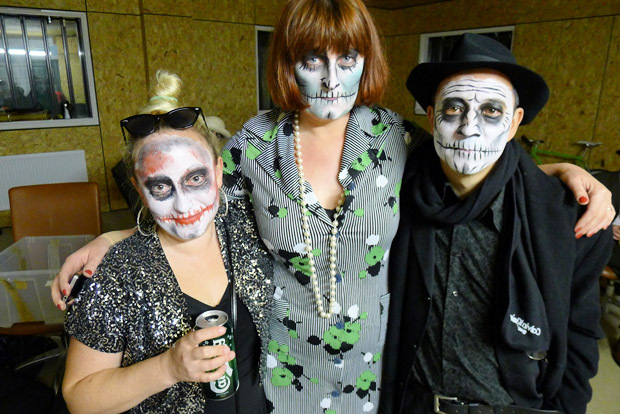 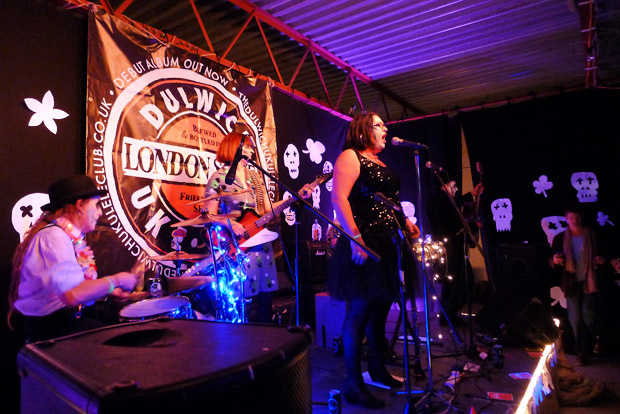 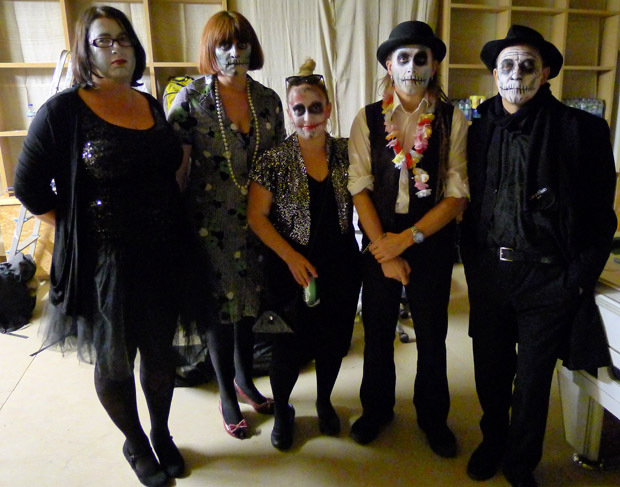 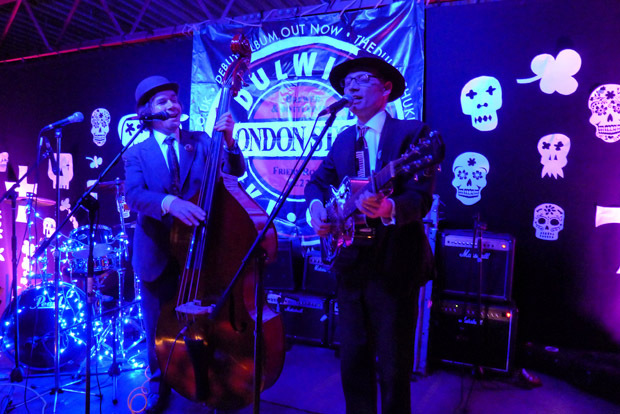 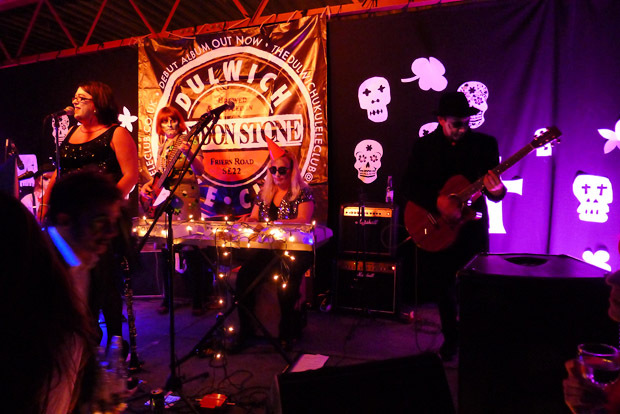 We joined our good friends the DULWICH UKULELE CLUB for a Day Of The Dead celebration in deepest, darkest Peckham. 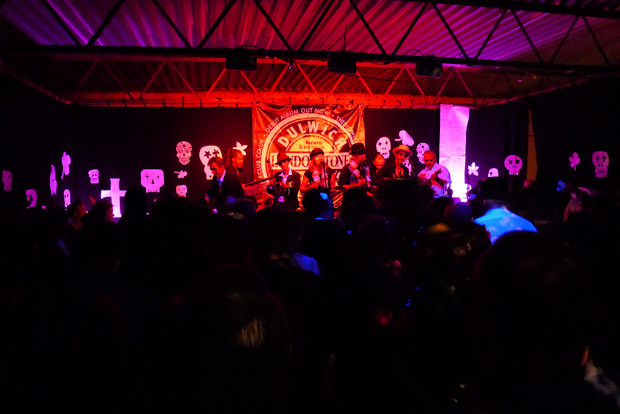 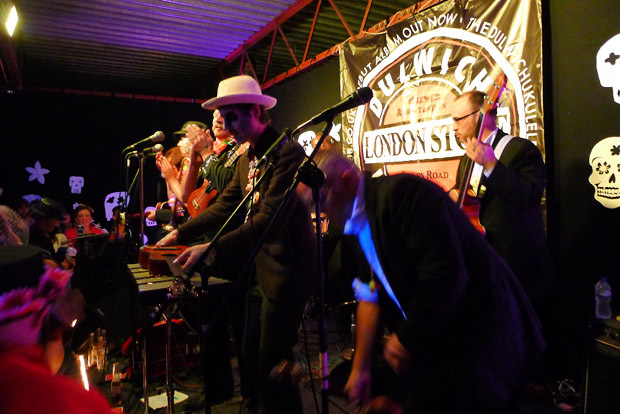 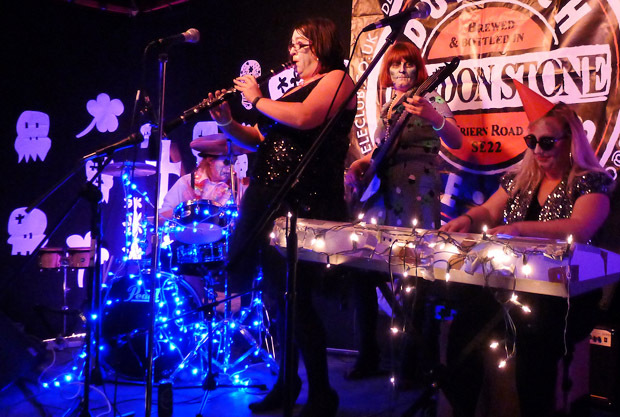 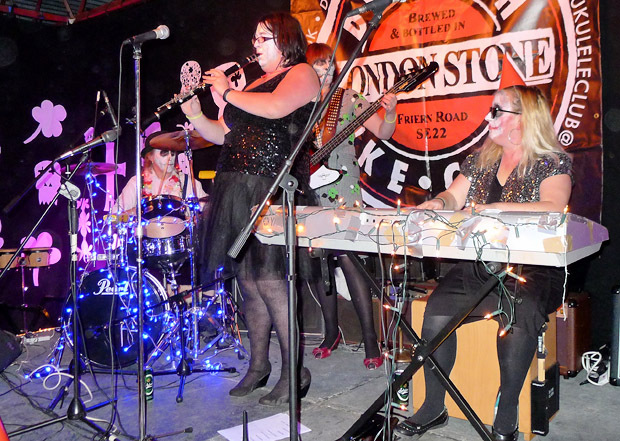 It was a fancy dress thing with a stellar line up of acts, including bluegrass duo, Lewis Floyd Henry, The Henry Brothers, European spoon Champion Simon Spoons and more. 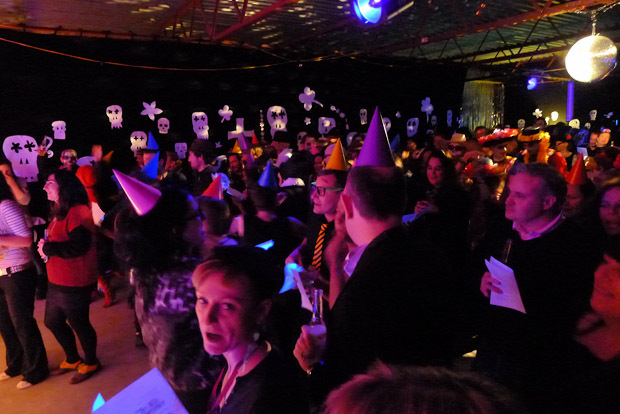 Here's some photos from the night's mayhem! 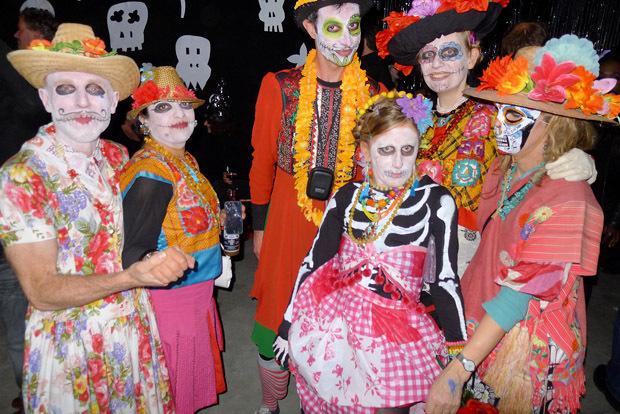 Getting ready for the Day Of The Dead themed show. 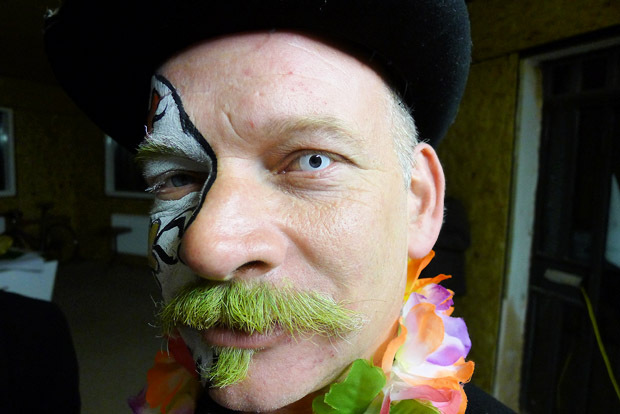 A Dulwich Uke with a worrying eye! 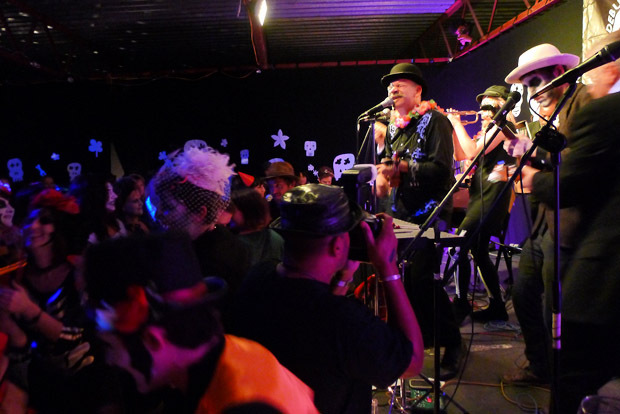 One man band extraordinaire, Lewis Henry Floyd. 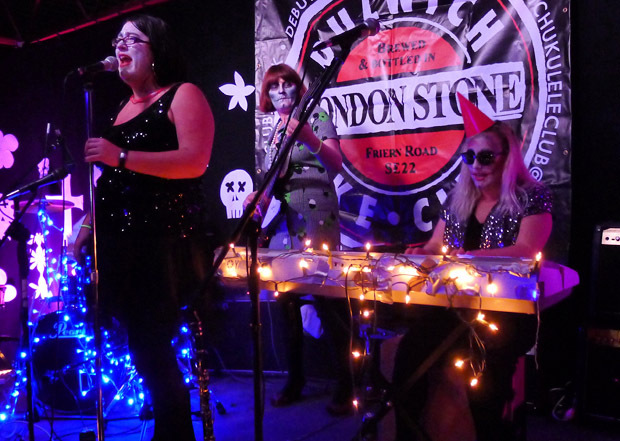 The Mrs Mills Experience take to the stage. 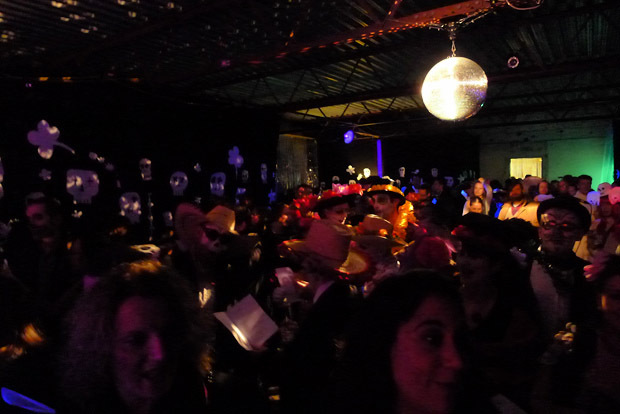 There was a great crowd at the venue. 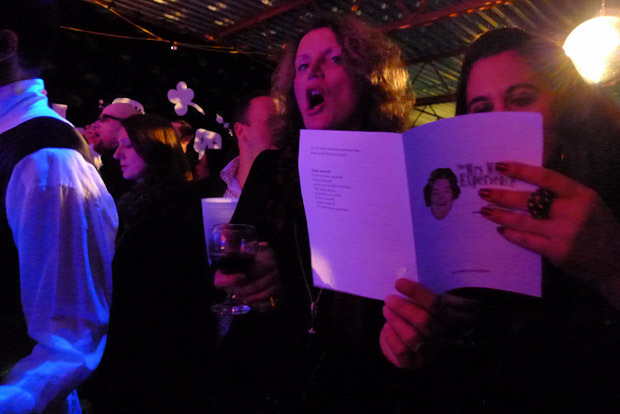 As ever, party hats and songsheets were handed out, and a hearty singalong followed! 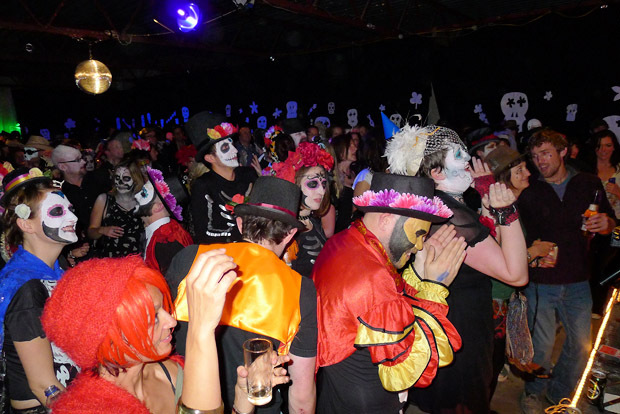 Waltzing to the Old Bull And Bush. 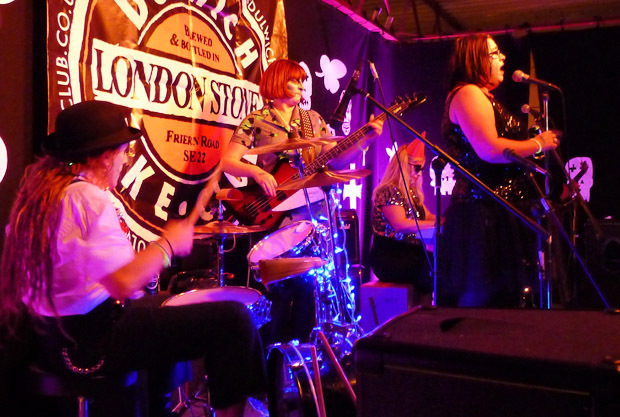 Our fab friends the Dulwich Ukulele Club onstage. 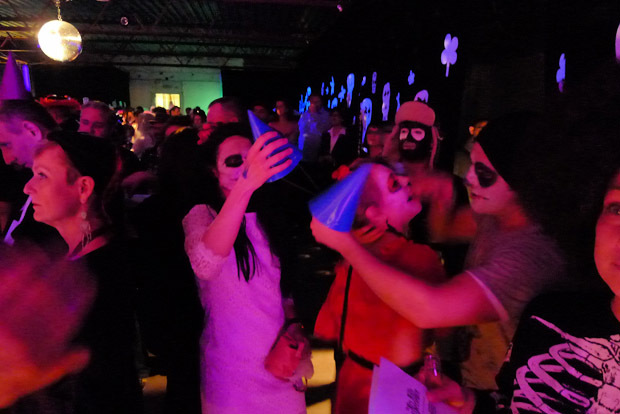 They did a fantastic job putting this night together. 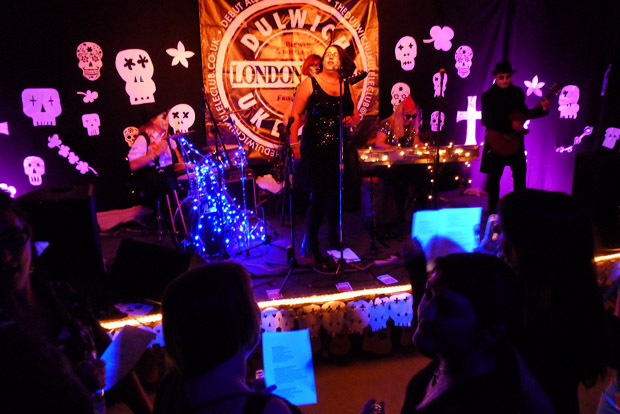 Once again, we have lots of people to thank, starting with the Dulwich Ukulele Club for inviting us down to play their show. 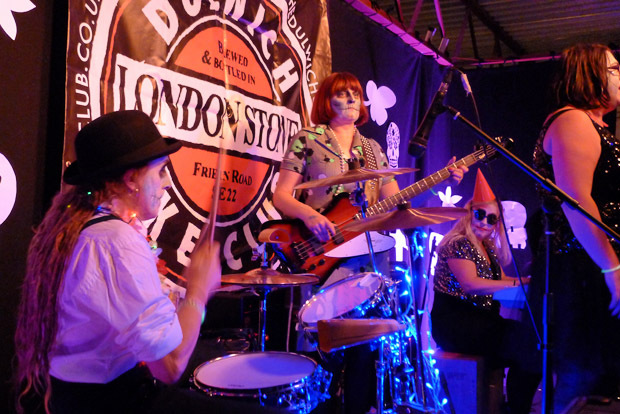 Big thanks are also due to Lizzy Millar for the wonderful make up, the Birdoes for their enthusiastic rabble rousing, Eme and Rich for the photos, and, of course, the crowd, who were marvellous.